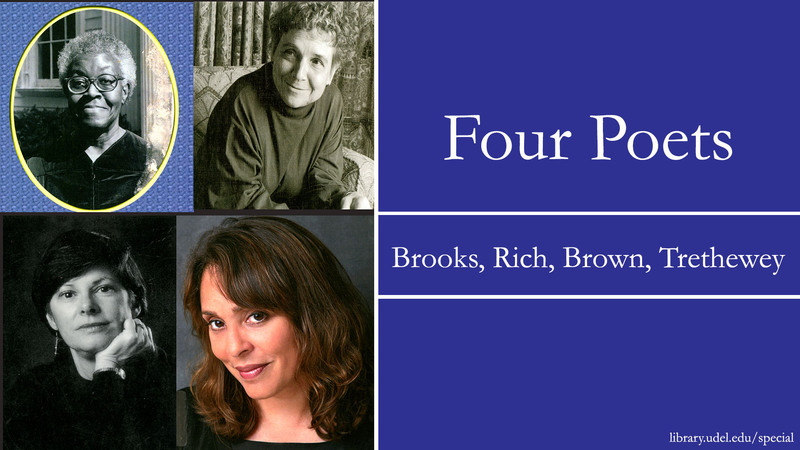 This exhibition features four women who have had a major impact on American poetry: Gwendolyn Brooks (1917-2000), Adrienne Rich (1929-2012), Fleda Jackson Brown (b. 1944), and Natasha Trethewey (b. 1966). It is curated by Curtis Small, senior assistant librarian in Special Collections and Museums.